Maureen graduated from Monash University Medical School with honours and went on to do further postgraduate training at the Alfred and Frankston Hospitals. She then travelled to the UK and worked in Dundee, Scotland and London, England. She obtained a Diploma of Obstetrics on returning to Australia and entered general practice. She has been at Sandringham Medical Centre since 1992. Her special interests are in children’s and women’s health. Available: Monday and Monday evening, Tuesday, Thursday plus rostered weekends. MB BS, Dip Sports Medicine, FRACGP. 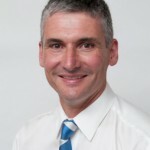 Andrew graduated in 1986 from Monash University. He subsequently trained at Prince Henrys Hospital, predominantly in the surgical specialties before entering General Practice. He completed the Diploma of Sports Medicine in 1993. He has particular interests in surgical procedures including the removal of lesions, sports medicine, acupuncture, and diving medicine. In addition to general practice, Andrew has an interest in aerospace medicine and is a Designated Aviation Medicine Examiner for the Civil Aviation Safety Authority. Andrew is married and lives locally with his three sons. Available: All day Monday and Tuesday. Wednesday morning. All day, including evening appointments, on Thursday’s. Andrew is also available for appointments on his rostered weekends. 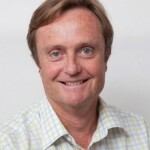 Andrew graduated from Melbourne University in 1993 and trained in general practice in several rural areas before completing his fellowship of the College of General Practitioners. He commenced at Sandringham Medical Centre in 1998. In 2003, he took up an appointment as a medical advisor with the Health Insurance Commission and remains at the clinic in a part time capacity. In addition to general practice, Andrew has an interest in aerospace medicine and is a Designated Aviation Medicine Examiner for the Civil Aviation Safety Authority. Available: Wednesday and Friday afternoon. MB BS, FRACGP, Dip RACOG. 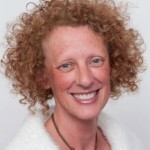 Jackie graduated from Monash University in 1991 and trained at Monash Medical Centre, Frankston Hospital and Sandringham Hospital. She holds a Diploma in Obstetrics and Gynaecology and a Fellowship in General Practice, as well as a Diploma in Horticulture and Viticulture. She has been at Sandringham Medical Centre since 2001. Her special interests include children's health, shared care of obstetrics patients and family medicine. Available: Tuesday, Wednesday and Friday, plus rostered weekends. 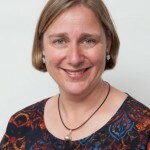 Emma graduated from Monash University in 1992. 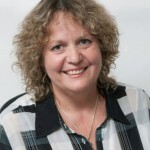 She completed her hospital training at various hospitals including Box Hill Hospital, The Royal Children’s Hospital, and the Mercy Hospital for Women before completing a Diploma in Obstetric Care in 1996. 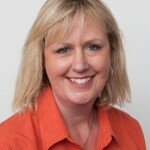 She obtained her Fellowship in General Practice in 1998. Emma commenced work at Sandringham Medical Centre in 2003. Her special interests include women’s health and family medicine. She has 3 sons and currently works part- time. Available: Monday and Thursday morning. All day Friday and rostered weekends. 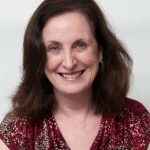 Jean graduated from Monash University in 1988 and trained at Dandenong and Sandringham Hospitals. She has completed post graduate training in paediatrics at the Royal Children’s Hospital in Melbourne and in Gynaecology at the Royal Women’s Hospital. 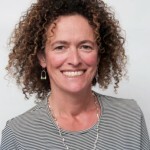 Jean completed the Fellowship of the College of General Practitioners in 1994, has completed a graduate certificate in Anthropology and has started a Graduate Diploma in Child Health. Jean’s most interesting experiences have been through her volunteer work in East Timor in 2000 and working in Aboriginal communities in the Northern Territory. She has two children, a boy and a girl. Jean’s medical interests are in all aspects of family medicine, especially children’s health, women’s health, travel health, and minor surgical procedures. Available: Wednesday morning, Thursday afternoon and evenings, plus rostered weekends. MB BS, FRACGP, DIP OBS RACOG. 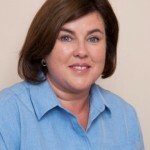 Katrina graduated from Melbourne University in 1989 and trained at St Vincent’s Hospital, Dandenong and Frankston Hospitals and Monash Medical Centre. She has completed training in Obstetrics and Gynaecology and provides shared obstetric care. Katrina also has postgraduate training in Paediatrics and Geriatric Medicine. Grant is a graduate of the University of Western Australia. Although he is a Professor in the School of Primary and Allied Health Care at Monash University, his Tuesdays and Fridays at Sandringham are highlights of his week. His wife and three children have embraced living in Melbourne moving in late 2009 after 6 years in chilly Canada. 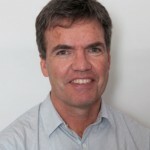 Grant works Tuesday afternoons and Friday mornings and enjoys all aspects of general practice, especially paediatrics, dermatology and mental health care. Available: Tuesday afternoons and Friday mornings, plus rostered weekends. 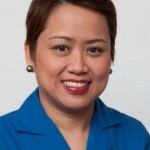 Charmaine finished her Batchelor of Biochemistry at the University of St. Thomas in the Philippine’s and then pursued her nursing in Australia. Charmaine works full time at the clinic. She also speaks the Philippine dialect of Tagalog. Samantha works alongside our friendly team of caring receptionists, who are always here to help in any way they can.